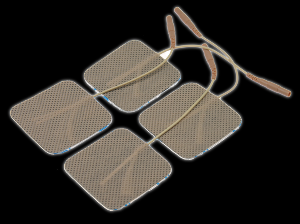 We supply self adhesive conductive electrodes with every E-Stim unit we produce, as the humble conductive pad is in our opinion one of the most versatile e-stim electrodes in existence. Our medical grade self-adhesive conductive sticky pads are available in 2 other sizes, the Micropad and a longer version. Each highly conductive pad can be reused (with care), cut to size, used on both him and her, and used in most external places, subject to the normal safety considerations (i.e. below the waist). Just remember if you are going to cut a pad to size, don't cut the central conductor wire! 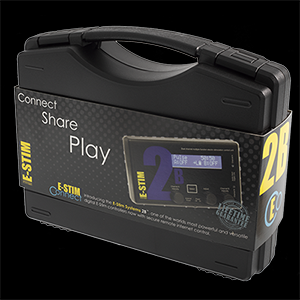 Each standard pad is fitted with a 2mm/TENS type connection, and suitable cables are supplied with all of our control units apart, from the 2B Pro Pack, but we also offer cables to fit other e-stim units. Conductive pads are classed as mono polar electrodes in other words you will need to use two pads, or one pad and another electrode contact point at the same time to form a circuit. It's one of the reasons they are supplied in a pack of four. It is not possible to clean self adhesive pads, however it is possible to reuse them. To reuse a pad and increase its longevity we suggest you carefully remove it from the skin after play and then immediately return it to the plastic carrier sheet before placing back into its protective bag. 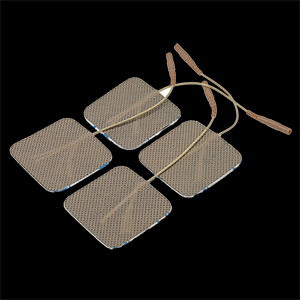 We do not recommend the use of conductive gel with our range of conductive sticky pad electrodes,however if the pad adhesive becomes less effective it can sometimes be reinvigorated with a couple of drops of water. Excellent pads that you can use time and time again. I found that they would stick anywhere and it was a lot of fun placing them for their best effect. I can see me getting a lot of enjoyment out of them. 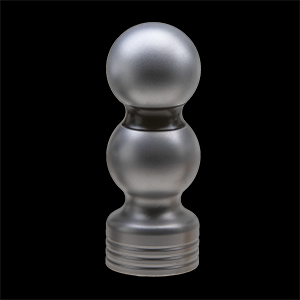 I personally had no problem with the conductivity of them and every time I have used them they have brought about some amazing sensations. Top marks. Having tried these on my bum cheaks I thought I wuld share my experiences with you. On continuous I found that them very pleasurable and produced a tingly sensation. On pulse I found my cheeks were cletching in time to the rate, which was fun yet distracting. And manual again I jumped for joy!!! !